Set of 10 Ink Pads Free for Hostess & Recruits! Hostesses who hold a minimum $450 party will get a FREE collection of Classic Stampin’ Pads! This can be any event you want to host at your place or mine. Maybe a stamp a stack? A free workshop? A product class featuring a special stamp set? Call or email me and we can schedule something! New demonstrators who join Stampin’ Up! during the promotion period will get a FREE collection of Classic Stampin’ Pads with their Starter Kit! For only $99 plus tax and FREE shipping, you get to choose $125 worth of products from the annual catty or holiday catty!! Here is a reprint of my FAQ article for becoming a demo, since there is such an amazing gift! It is all about the the real deal on signing up as a Stampin’ Up Demonstrator. With Stampin’ Up having changed their Starter Kits to more of what I call a ‘buffet’ kit, now is a good time to answer those questions for anyone who is wondering what the real scoop is. No sugarcoating- just the facts, ma’am! *What comes in the new Starter Kit this year? Anything you want! Gone are the days of having to choose from this price or that category. You simply choose $125 of product from the catalog or current mini catalog, like the new Holiday catalog! You pay only $99, your state tax and FREE shipping. Yeah, it’s good. You still get all the business supplies like order forms and 8 catalogs. *What if I have been a demo before? If you are signing up again with the same upline/recruiter as before, then you can sign up right away. If you are signing up with someone new and your old upline/recruiter is still active, you need to wait 90 days before signing up again with someone new. If she isn’t active, there isn’t a wait time and you can sign up with someone new right away. *What if I am a current demo and want to switch uplines? Good gravy I get asked that often. It’s a tricky thing and there is a cost to it. I always suggest to try to work it out first. Sometimes you just want to be with a team locally or there is an issue you can’t sort out. You do lose your demo ID number, your downline or recruits under you do not transfer with you, you have to wait 90 days (without Stampin’ Connection or the Stampin’ Success magazine) and you lose your career sales. Basically you start over but then you can get all the benefits of starting over as a new recruit also. (like the 30% on your first order, stampin start, etc) Really think about though! What is the catch? Other than a totally addictive hobby, it’s pretty easy. I’ve had more trouble and headaches trying to switch cell phone plans. That took 3 hours. Signing up to be a demonstrator? 20 minutes. Online. And you get your password to go onto the Demonstrator Only Website right away while you wait for your kit to arrive in a week to 10 days. *Keeping it Going: Anyone can buy a kit and enjoy it. Keeping it going requires some work on your part. Having even 2 or 3 friends you stamp with each month is an easy and fun way to collect those orders to meet your minimums. What if I decide to not place any orders and just enjoy my kit? 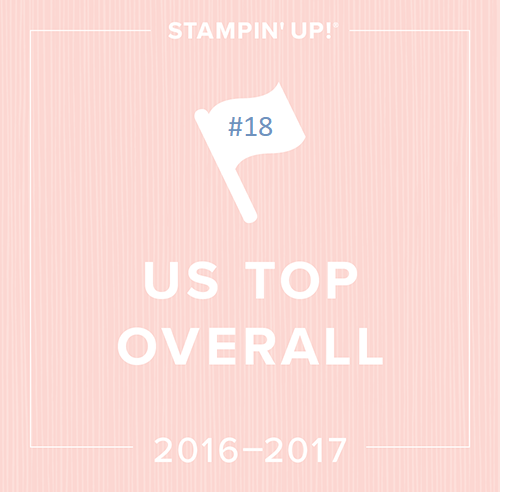 Stampin ‘Up will just drop you after a period of time. No penalties, nothing to give back, no note sent home to your parents. How much do I have to order to stay active? $300 retail. Stampin’ Up quarters runs Jan-March, April-June, July -Sept, and Oct-Dec. The month you sign up, you would get the rest of your first quarter free of minimums. We are currently in July-Sept, so the next quarter so you would have to your $300 in orders by the end of December! It can be ALL at once, or in smaller orders. With just your own orders or friends adding to it. You can be your own hostess, too! So it pays off if you are looking for a discount and you are going to spending that much on stamp stuff anyway. 30% off Bonus: This is why some people sign up if they have a huge wish list or want something big like the BIG SHOT: You get 30% (instead of 20%) off your first order over 150.00 if you place it within 45 days of signing up. Be your own hostess + get a big discount = no brainer. This is an important decision! Do you want/need lots of training in stamping techniques or computer help? Do you want to stamp with a group or attend events or meetings? Then I would recommend that you should find someone local to sign up with. Find a demonstrator who has monthly or quarterly events or training so you can learn all you can and stamp often! Use the demo locator on the SU website at www.stampinup.com and click on Find a Demonstrator. Look for someone with a website and check out her events. Even if she is an hour away, it is totally worth it so you can learn all you need to. *Be sure to ask her/him if you can still attend their classes if you sign up! Some do not so just ask. Anyone on my team can attend my classes – they just have to proactively watch my class schedule and rsvp. Are you already a seasoned stamper? Maybe you don’t mind phone calls and FaceTime or is happy to do your own thing? Then it isn’t as important to sign up with someone locally. Personally I would sign up with someone who has been doing it for more than a few years, is established and offers some long distance support. What I offer: I offer a free membership to Stamping School ( my video tutorial website) to my team of demonstrators. It is a way that I can show them new techniques and projects since I can’t be there to stamp with them as much as I would like to! I’m an active upline if you need me to be or someone who is there when you just want a question answered. I offer weekly or monthly coaching by request, business building groups, and monthly get togethers & incentives. There are lots of choices out there and I believe you don’t want to sign up with someone because they are offering a free stamp set. This should be a relationship where you can call or email for help or training and be a part of a team. Some demonstrators do it as a career and support themselves full time with it. It’s a lot of work but it can be done. More than half of the demonstrators in my group do it just for the discount or hobby. There is no requirement to host or teach any classes. Now if you want help with putting in the orders, we call those Bread and Butter customers. Those are the friends or family that you can stamp with each month or every other month so they can order a few things from you. Every little bit helps! And if you are like me, one day you may need extra money and that’s how I started doing it more as a business. When times get tough, sell stamps! Gee whiz, there is so much in there that I couldn’t list it all. 5 years of back issues of our Stampin’ Success magazines (which arrive in our mail monthly), projects, templates, articles, videos, and the biggest is Stampin’ Connection. It’s a HUGE forum for demos only with TONS of samples each day. Some people sign up just to go to convention! We have an amazing annual convention in Salt Lake City each year with thousands of stampers attending! 3-4 days of inspiration, swapping and classes! If you have more questions, feel free to call or email me anytime. I’d be happy to steer you to the upline who is right for you to sign up with or you can sign up with me to be a part of my group. What are you waiting for?! FREE Ink pads, Fun and a new stamping adventure are just a click away! This entry was posted in Stampin' Up Specials and Promotions and tagged demonstrator, ink-redibe, linda heller, recruiting, stampin up promotions, stampin' up specials, starter kit. Bookmark the permalink. 1 Response to Set of 10 Ink Pads Free for Hostess & Recruits!